Mark your calendars for May 6! Mark your calendars for our first annual League Night! 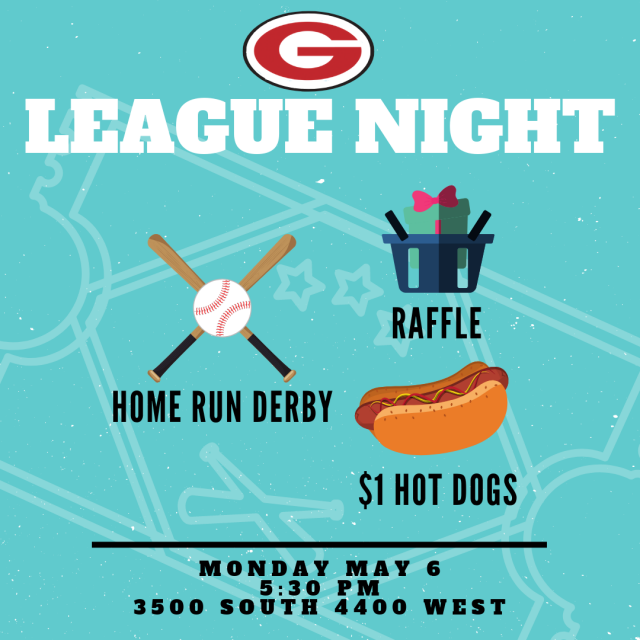 Invite your friends, family, and neighbors for a night of games, ballpark food, and a chance to win some of our awesome raffle prizes! Be sure to buy raffle tickets at upcoming games for your chance to win! Remember that the deadline for our team raffle baskets is this Wednesday - get in touch with your coach to find out how to contribute to your team basket.